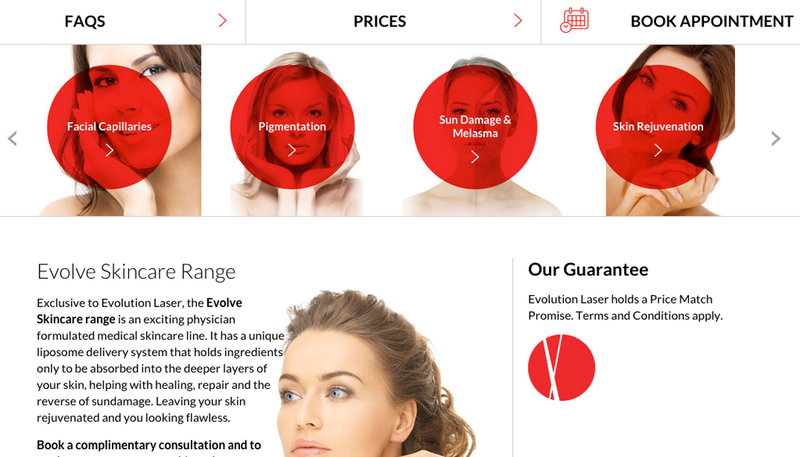 Evolution Laser Clinic briefed Hopping Mad to redevelop a new website for their group of clinics. In the process of working on the strategy for the new site, the branding came under review and a new logo/brand was created by HMD. The brief for the new website included a digital marketing and SEO strategy. 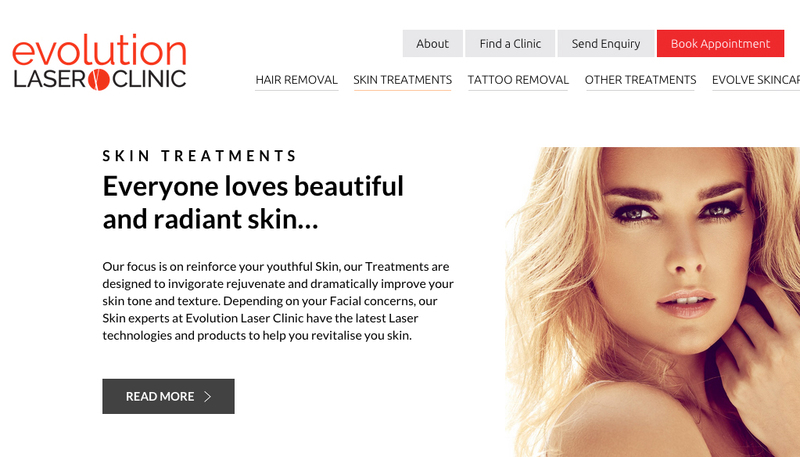 Hopping Mad created a stylish new logo and website for Evolution Laser Clinic. 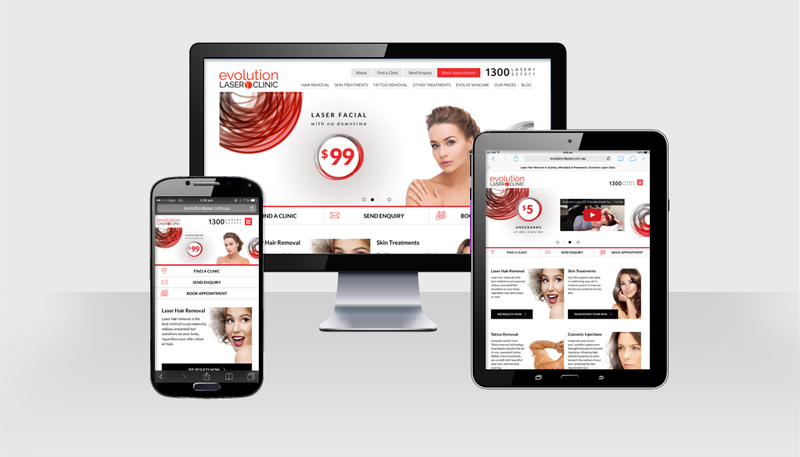 The fully responsive site has a clear conversion strategy and well thought out navigation to guide visitors through the site in to relevant service areas. A white, minimal colour palette creates a sophisticated and high end brand.